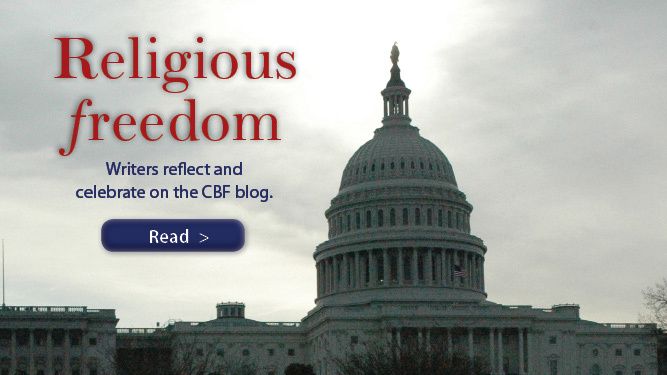 Over the past six days, we’ve featured six different posts on religious liberty here at CBFBlog.com as part of our Celebrating Religious Freedom series. In case you’ve arrived late to our series, be sure to take a minute or two and review these posts. Don’t miss the final installment of practical steps on religious liberty advocacy from the Baptist Joint Committee! of blogging. I saved it to my bookmark webpage list and will be checking back inn the near future.